Dubai, UAE. 10th April, 2014: DGrade’s Plastic Challenge, in partnership with PepsiCo’s Aquafina water brand, has been officially launched in 30 schools across the UAE, as part of joint effort to encourage students to recycle plastic bottles. 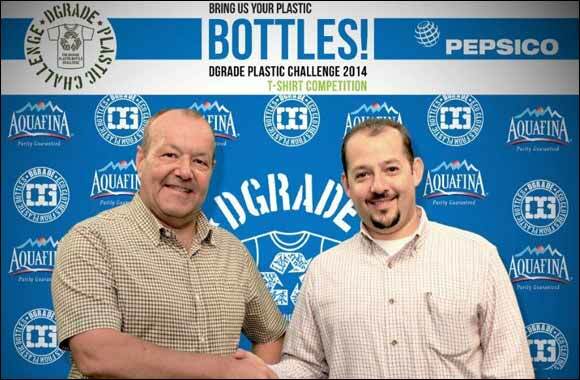 The DGrade Plastic Challenge comprises two competitions. The plastic bottle collection campaign, led by DULSCO in Abu Dhabi and Dubai and Union Paper Mills in Dubai, will reward the school that collects the largest amount of plastic during the Spring/Summer term. Designs for the T-shirt competition, which gave children the chance to show off their creative skills, can now be viewed on the DGrade website. The winning design will be printed on a T shirt made using three plastic bottles. One finalist from each school will win the opportunity to meet Professor Penguin at Ski Dubai and create their own penguin using recycled plastic bottles. The Banyan Tree in Ras Al Khaimah is also offering students in the winning class a field trip to Al Wadi Field, which includes an introduction to falconry and archery as well as informative talks on basic ecology. Environmental sustainability is a major part of PepsiCo’s mission of Performance with Purpose. This aims to achieve its commitments to the '5 Rs”; to reduce, recycle, use renewable sources, remove environmentally sensitive materials and promote the reuse of packaging in the entire process of packaging selection, design and procurement. “It is important to be able to tap into the consumer mindset at an early age if we are to make a lasting difference. DGrade conducted the first pilot Challenge in 2012 when 15 schools took part and collected over two tons of plastic bottles in just over a month. This year the number of participant schools has more than doubled which shows that children are keen to recycle given the opportunity to do so especially if supported by their teachers and parents,” said Kris Barber, CEO of DGrade Ltd.